11/30/2018 | Global Collaboration | Huber, A., Barlow, J. Over the last six months, the WAIMH Board has approved three new WAIMH Affiliate applications from South Carolina, California and Iowa. We welcome you all to the Affiliate Family and look forward to your ongoing involvement with us all. Following the expiry of the four year terms of both Chair (Maree Foley) and Representative (Anna Huber), nominations were called for from Affiliate presidents or immediate past presidents for the two positions, and two nominations were received. A subsequent online voting process, administered by the WAIMH Office, ratified the election of Anna Huber (Australia) as Affiliate Council Chair and Jane Barlow (UK) as Affiliate Council Representative. A huge thank you goes to Maree Foley for all of her foundational work in supporting the establishment and development of the Affiliate Council since 2010, working initially with Martin St Andre till 2014 and from then with Anna. We (Anna and Jane) both look forward to building on Martin and Maree’s work to support and represent Affiliates on the WAIMH board. Affiliate members participated in a roundtable to discuss the challenges and to share experiences of supporting infants and families who are refugees. This was a very engaging session starting with short presentations about the local issues from Elif Gocek (Turkey) and Meropi Michaleli (Greece). WAIMH president Kai Von Klitzing and other board members were present and agreed that this issue required WAIMH attention. A working group including affiliate members, was set up to plan how WAIMH might best respond, including how best to support local IMH associations dealing with these issues. changing the membership arrangements so that members of an Affiliate organisation become members of WAIMH at the same time. This would require a process of consultation with Affiliates and a vote to decide on the future membership arrangements. All Affiliate organisations have been recently contacted by Anna and Jane to provide some preliminary information about their membership as a prelude to further discussion and consultation. We strongly urge Affiliate presidents to respond as soon as possible to the request for information so that you can fully participate in the consultation and decision making process as it proceed. 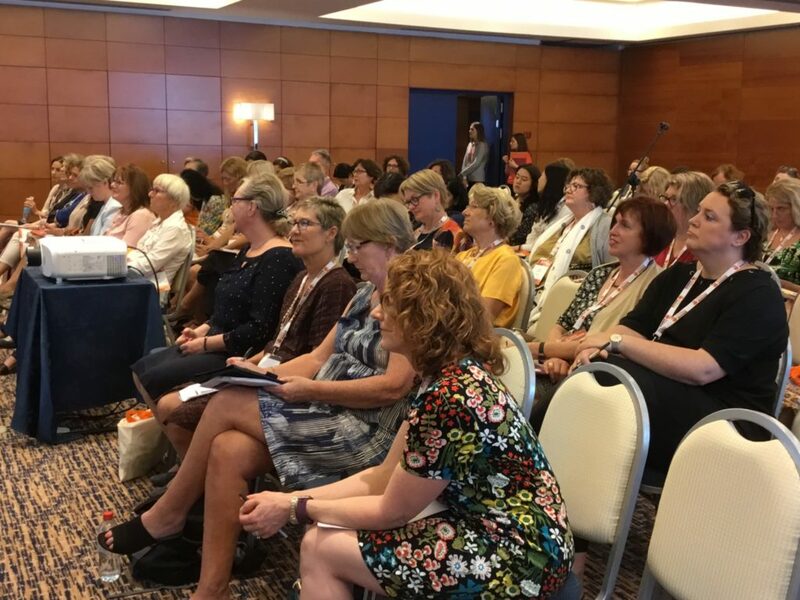 In response to member feedback, the Affiliate Council has set up a working group to develop a set of guidelines for Affiliates wishing to bid for and (if successful bidders) subsequently co-organise a World Congress working with the Board, WAIMH Office and Congress Program Committee. The group, chaired by Anna Huber, will include Kaija Puura, WAIMH Executive Director, Giampaolo Nicolais (Italy), Libby Morton (Australia), Denise Guy (New Zealand) and Binu Singh (Belgium). The WAIMH office staff are working to update affiliate data into the WAIMH website. We understand that these details change over time as executive personnel change. We appreciate you updating the WAIMH office about these changes so we can always keep in touch with you with regards to affiliate council matters. We wish you all the very best with your affiliate activities over the next months. We are always pleased to hear from you: your news, queries and challenges.